On 17 June 2008, Pep Guardiola replaced Frank Rijkaard as the blaugrana manager. The home grown coach took control of the first team following an excellent season with the second team in which they were promoted from the Division 3 to Division 2B. The rest is history, the blaugrana legend coached a side that has gone down as one of the best in the history of the game. 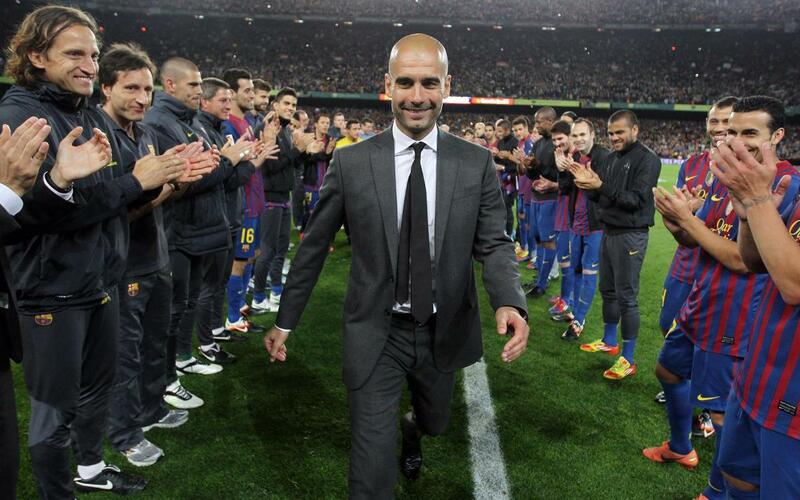 In the 2008/09, Pep’s first, the team won the treble of La Liga, Copa del Rey and Champions League. They then added three more trophies at the start of the new season with the Spanish Super Cup, the European Super Cup and the Club World Cup. This unprecedented run saw the team win all six available trophies and this had never happened before. The second season in 2009/10 also finished with a league title as well as the three previous trophies mentioned. In 2010/11, Barça won the Champions League again at Wembley after defeating Manchester United 3-1. Moreover, they added their third league title and another Spanish Super Cup. Guardiola and his players’ voracious appetite for trophies continued in the 2011/12 season with another pair of Super Cups, a Club World Cup and the Copa del Rey. The later was the final trophy won by Guardiola’s Barça with a fantastic performance and a 3-0 win over Athletic Club at the Vicente Calderón. It proved to be the perfect goodbye for a unique manager who has made his mark on the Club’s history.